Data is from an August 2016 MGH Inc. survey as cited in press release. 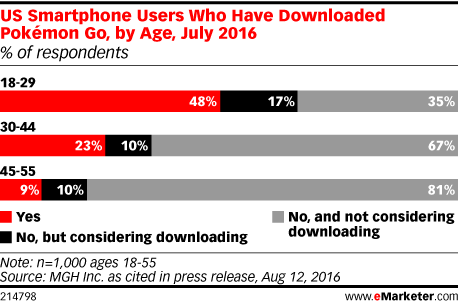 1,000 US smartphone users ages 18-55 were surveyed online in July 2016. The margin of error is +/-3.1 percentage points at a 95% confidence level. MGH Inc. is a marketing agency.